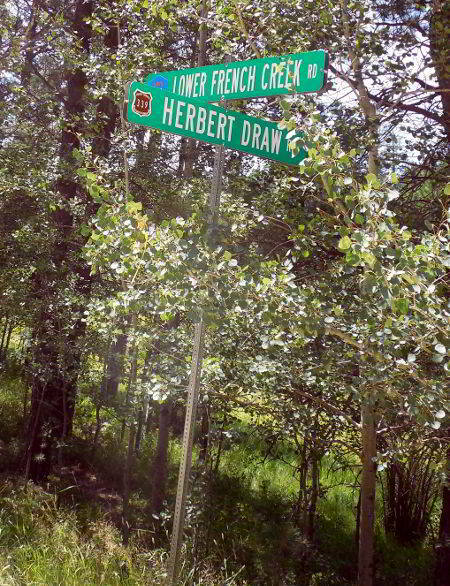 Camp F-11 was located on Haselrodt Springs, about 8 miles south of Custer. French Creek was about 1/4 mile from the camp and two of its small tributaries passed through the camp. 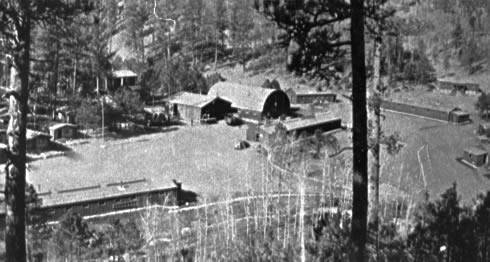 The camp was built in a small open park surrounded on all sides by pine covered hills (1934). Originally it contained 21 buildings--four 50-man barracks, headquarters building, mess hall with attached store room and officers' mess, recreation hall, hospital, bath house, two garages, pump house, five cabins housing army officers and forestry personnel, cooks' quarters, and three latrines (1934). 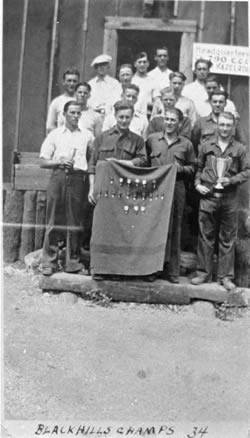 The camp was first occupied by the CCC on May 20, 1933, and closed January 6, 1936. Companies: Company 790--5/20/33-10/30/35, Company 2766--10/30/35-1/6/36. 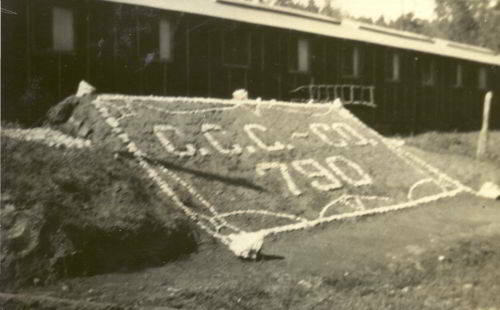 Company 790 was organized May 3, 1933 at Fort Meade as the second CCC company in South Dakota, half of its members were from east central South Dakota and the other half from the Black Hills area. On May 18 about 40 local woodsmen, mostly from the northern Hills, joined the company. Two days later the company moved to its permanent camp at Haselrodt Springs. At that time the total strength of the company was 212 men (1934). Also included in the company were four enlisted men from Troop E 4th Cavalry on detached service (1934). The severe drought of the Middle Western states during the summer of 1934 caused the President to allow an additional 50,000 CCs to be known as drought relief enrollees. The South Dakota District Headquarters at Fort Meade designated that Company 2748 be organized at Camp Haselrodt, with 18 men selected from Company 790 to be used as the nucleus for t he new company. A temporary camp was established for new enrollees. On July 31, 1934, 100 new men arrived, bringing the new company to full strength. After several days of training, they broke camp and entrained for their new location at Belvidere, SD (1935). No later information about Company 790 was located except that it demobilized October 30, 1935 (1936). Company 2766 was organized Jul y 14, 1934, as a drought relief company at Mandan, ND; its history was one of many changes. After a summer at a DPE camp in North Dakota, it was transferred in November to a USFS camp in Arkansas for the winter. On May 3, 1936, it returned to an SCS camp at Mandan for the summer (1936). 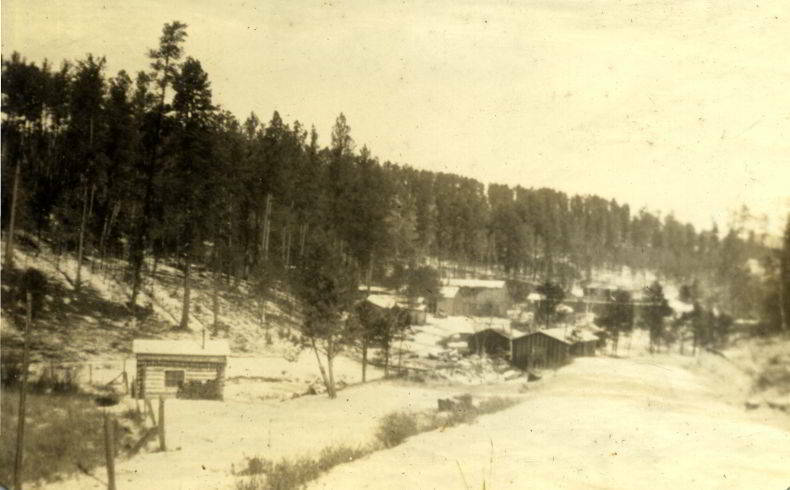 Then on October 28, 1935 the company was ordered to a USFS camp at Custer, SD, in the heart of the Black Hills. The journey was made by train through Jamestown and Oakes, ND, then to South Dakota through Aberdeen, Pierre, Rapid City, Deadwood and Custer. This trip, between Mandan and Custer an airline distance of about 300 miles, took nearly as long as the 3,000-mile trip to Arkansas, and was a very cold and disagreeable one (1936). 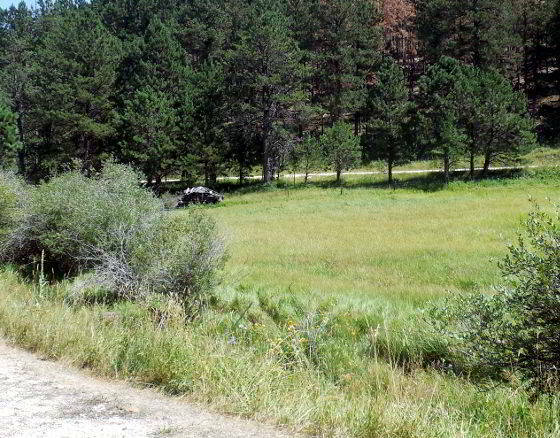 The new location was Camp Haselrodt, one of the oldest camps in the Black Hills. While in this camp the company had its greatest change in personnel. Just before Christmas the camp surgeon resigned to enter private practice in Minnesota. 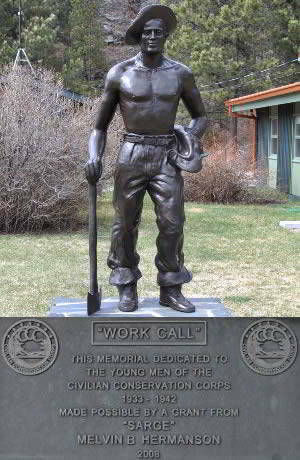 No one was assigned to take up his duties but his work was done by the camp surgeon of Camp Narrows (1936).